With the promising start of a new year ahead of us, we at Chicago Run are throwing on our winter jackets and lacing up our sneakers, for the start of the 2018 Running Mates Winter Season! We are excited to have 15 teams participating this season, with over 300 students, to begin our indoor practices. As our students know, with every new start of a Running Mates season they get the opportunity to improve their PACER scores from the prior season. PACER is the Progressive Aerobic Cardiovascular Endurance Run and is a national youth fitness test. 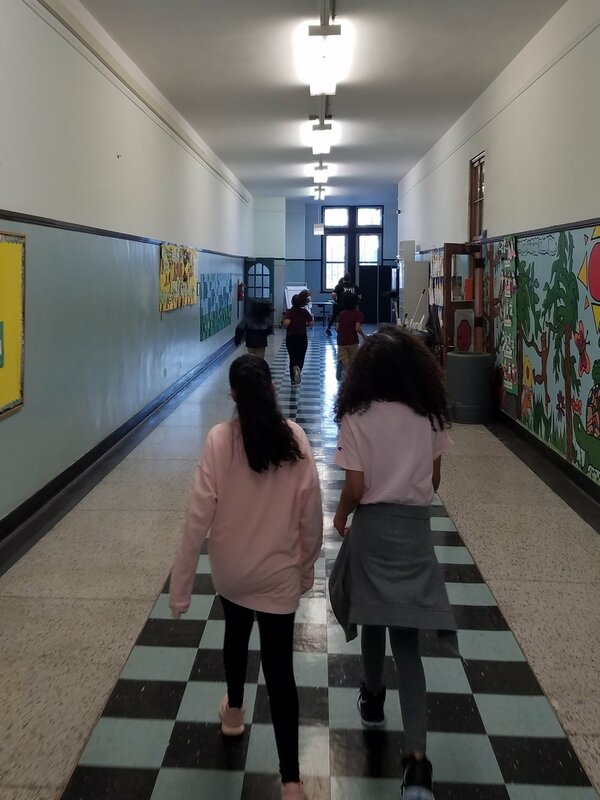 As you can see in the photos below, students at NTA (National Teachers Academy), Murphy Elementary, and O’Keefe School showed up and proved us right! Until the weather decides to warm up for us, we mostly have to conduct practices indoors, and therefore we’ve planned some really fun games and circuits to challenge and engage students! We also continue to integrate mindfulness practices with students by ending our sessions with yoga and meditation! The students are excited and eager to show off their winter training when they cross the finish line at the St. Patty’s Day 5k on March 17! We hope to see our volunteers at the race pacing our students and cheering them on! If you would like to volunteer, please email Ryan@chicagorun.org. Students at NTA were excited to show off some of the more difficult yoga poses they were able to do. Students at NTA helping their Coach setup for the PACER test. Students at NTA getting ready to run the PACER. Students at Murphy running stairs during practice. Students at Murphy running their warmup laps around the school during practice! Students at O’Keefe running the PACER test!